Situated very close to the famous Sai Samadhi Temple, this offering will make you feel Sai’s divine presence with you all along. 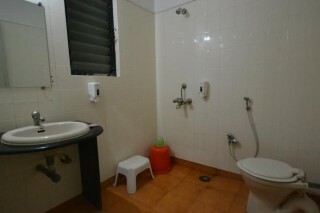 It gives you a simple room that is spacious enough to comfortably accommodate up to six guests, ideal for a family stay. The room is air conditioned and has a couple of double. Washroom is tiled and modern. When you feel hungry, head to the in-house restaurant, relish your favourite food and spend some memorable time with your loved ones. Guest House is an abode of luxury in the holy city of Shirdi. Will serve our esteemed patrons with a range of well-appointed and lavishly furnished rooms with all amenities. 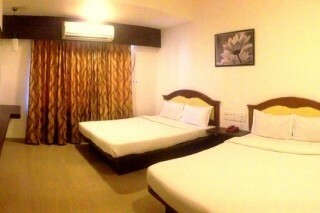 All the rooms are spacious and well ventilated with a touch of elegance. Located in the heart of Shirdi, ‘Our boutique property’ is a luxurious “home away from home” for devotees as well as leisure travelers. Shirdi The town of Shirdi is one of the most visited pilgrimage centers in India today. It houses the Samadhi of Lord Sai Baba, a saint worshipped by millions of Hindu as well as Muslim devotees. Lord Sai Baba preached not any religion but love for the Creator, purity of soul and inner peace. He brought devotees from all faiths under one roof with his famous quote “Sab ka maalik ek hai” (Only one God rules over us all). We had an easy and pleasant stay! Place of Pride & feel like heaven ! !